Dreams and aspirations, we all have them, some of us get to experience and fulfill them, others of us don’t get a chance because they get taken away from us. I am very fortunate to be in that first group, Alison Hayes sadly was in the second. The Allie Sunshine Project was formed with the hope that Alison’s passionate aspirations for helping people would be fulfilled. Please check out the website www.thealliesunshineproject.com. 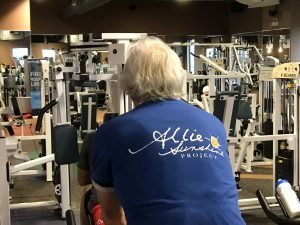 Currently the Allie Sunshine Project has started the ‘Biking 4 Benches’ campaign to raise funds to purchase ‘Buddy Benches’. They will be placed on elementary school playgrounds, so that children will have a safe friendly place to go when they feel alone. What and Why Buddy Benches?? At The Allie Sunshine Project the aim is to ignite learning and wellness. We have learned that the deepest learning happens within the trust and respect of relationship. School can be a traumatic place for children who are in tender development unfolding into personhood. Children are beginning to develop their social skills. They are often challenged in finding acceptance and friendship within their relatively large and dynamic school communities. 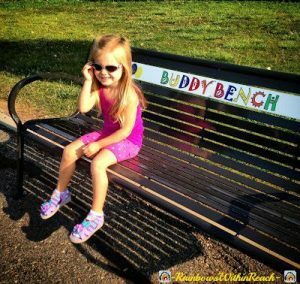 The Buddy Bench provides an opportunity for children who are looking to reach out and meet another child. In other words, it is a non-verbal bridge to friendship. 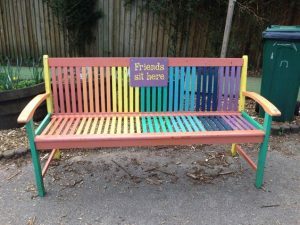 Sitting on the bench is a sign to other children in the school yard that they seek love and acceptance, in other words, a friend. When we feel safe, we more readily share our questions, observations and ‘ahas’. These are the key elements of learning. We are also more likely to try something new and these “firsts” are most certainly a learning opportunity every time. Over the next 30 days, I will cycle over 2100 miles and climb 85,000 ft from northern Chile to the Patagonia region of Argentina, crossing the Andes Mountains 3 times, and following the famous motorcycle route taken by revolutionary Che Guevara. People ask me why I do these long tortuous bicycle trips. This will be my 10th medium to long distance bicycle trip. Still I don’t have a good answer to the question. Maybe it is because my parents instilled in me a passion for travel and adventure, or maybe because I have trouble turning down a challenge. All I know is I have fun, relish the sense of accomplishment and have formed some lasting friendships. It also helps tremendously having the love and support of my wife and family!! 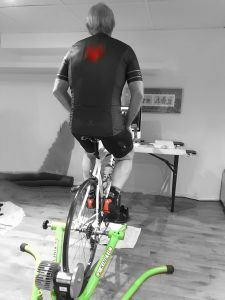 Training has been fairly intense, riding daily all summer and fall, outside with Banded Goose Cycling Club, indoors at Movati gym and on the trainer in my basement… . 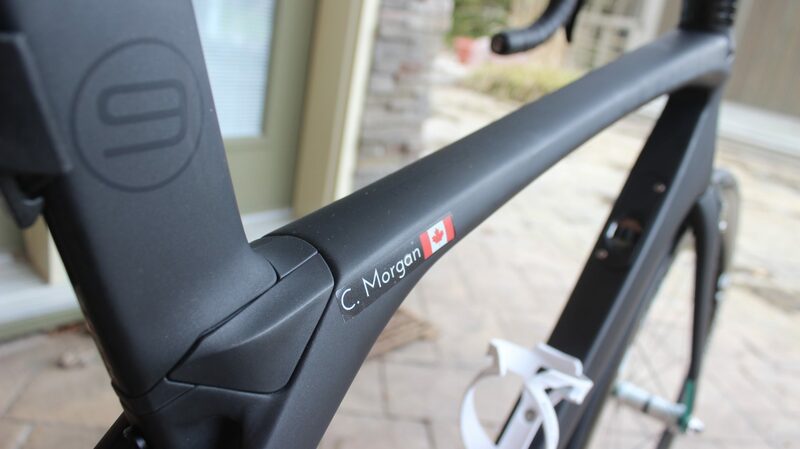 A busy week of packing my cycling gear, clothes, plane tickets, documents and my trusty steed Maddie Two (Trek Madone 9.3). I think I’m ready to go….DTW, Miami and Santiago awaits! Have a great tour! I look forward to reading your blog posts. Allez allez! 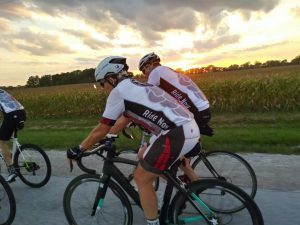 Pedal hard K2 and don’t forget to enjoy the scenery! Have a great trip. 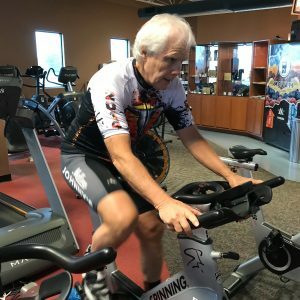 You are a great mentor & friend to many in the biking community. So proud of you & your accomplishments. Safe trip. 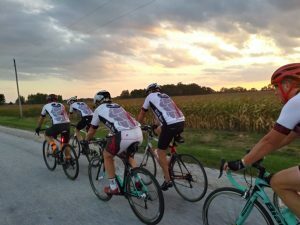 Will be following & waiting for pictures & more stories at bike club when you return. Pedal on. Pedal strong. Pisco Sour in the water bottle doesn’t count as a banned substance, so you’re ready to roll! Bike Hard. You are powerful. You are capable! Looking forward to reading the blog and feeling like I’m coming along the journey with you! What an inspiring adventure you’ve chosen to support such a wonderful organization! We’re looking forward to following your posts. Ride on! It’s almost ” Farkle time” my friend. See you in January, stay safe and enjoy your ride!